Overheating at the evaporator outlet is an important indicator when Troubleshooting or when adjusting the overheating of the thermostatic expansion valve. On most systems, the easiest way to measure overheating take one reader of pressure and temperature reading from the system, how it works. First, take a reading of the pressure suction valve of the compressor. To obtain the saturation temperature which corresponds to that pressure, check the reading on the room sensor install or refrigerant maps or charts. 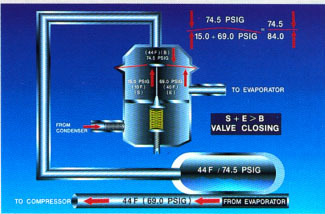 Although reading is not taken directly from the evaporator, it will be approximately correct (particularly if you are working on a packaged system). 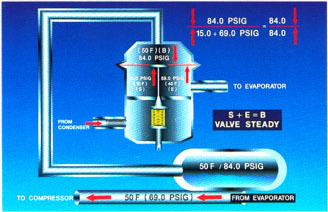 Now the measurement of the temperature at the top of the suction line, right next to the evaporator by an electronic temperature sensor. The difference between the actual temperature and saturation temperature overheating. For a split system, you can increase the accuracy of the valuation, assuming that the temperature at the outlet is about 1.5C above saturation temperature in the service valve of the compressor. When adjusting the overheating of the thermostatic expansion valve, turn it counterclockwise.